Techrete is a leader in the design, manufacture and supply of architectural precast cladding, to the UK and Irish construction markets. The company offers a complete precast solution, providing services ranging from design through manufacture to erection. Employing 250 people, Techrete is based in the UK and Ireland. Founded in 1985, Techrete is a leading company in the design, manufacture and supply of architectural precast cladding, to the UK and Irish construction markets. The company offers a complete precast solution, providing services ranging from design through manufacture to erection. Employing 250 people, Techrete is based in the UK and Ireland. The process of precast production begins at Techrete's design offices, which are located in Leicester and Dublin. Techrete's production facilities are situated in Brigg, North Lincolnshire and Balbriggan, Dublin. Together, they cover 12,000 m2 of production space and are situated on a combined site area of 15 hectares. Both facilities, in the UK and Ireland, house state-of-the-art equipment, workshops and office facilities to handle every stage of a project from planning and design through production to site erection. Techrete provide a full range of services, from design through manufacture to delivery and installation. We are passionate about Architectural concrete and continue to invest heavily to ensure that our products are of the highest standard, but produced economically to give all our customers the best value for money. Techrete provide a large range of Architectural Precast Concrete Cladding ranging from recon finishes through brick to terracotta to natural stone. These ranges are continually being developed so if you do not see what you are looking for please contact us we will be pleased to work with you to achieve your aims. Brigg, North Lincolnshire, 24th May2018. Following a busy week of audits at Techrete’s facilities in Brigg, North Lincolnshire; Enderby, Leicester and Balbriggan, Dublin, Techrete are delighted to announce that not only have we passed the necessary audits for Health & Safety, Quality, Energy and CE marking but we also achieved the new ISO45001:2018 award. This standard was only published in March 2018 and Techrete are one of the first organisations to achieve this standard. ISO45001:2018 was developed by a committee of occupational health & safety experts and takes into account other international standards. The standard covers health & safety management system requirements. Techrete also have been awarded a 7th consecutive RoSPA Gold Award for health & safety performance during the period January 1st 2017 to December 31st 2017. The RoSPA Health & Safety Awards are the longest-running industry awards scheme in the UK and receive entries from organisations around the world. The awards recognise achievements in health & safety management systems and include practices such as leadership and workforce involvement. This demonstrates Techretes commitment to the wellbeing of not only our employees but all who interact with us. The gold awards are only presented to organisations who sustain high health & safety standards of consecutive years and will be awarded at an event in the Excel, London on June 19th next. These achievements further cement our commitment to health and safety and ensuring that everyone gets home safely at the end of the day. Techrete are a dynamic innovation led designer, manufacturer and installer of bespoke products for the architectural precast concrete market. 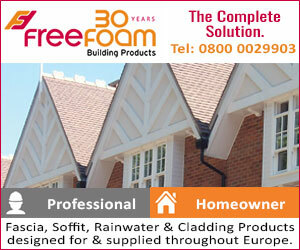 Founded in 1985 the company prides itself in being a market leader in its field. Servicing markets in England, Scotland, Wales and Ireland, Techrete have been involved with the Dundee V&A, Scotland; Lombard Wharf, Maiden Lane, New Ludgate, Lewisham and Abel & Clelland, London; Victoria Gate, Leeds; 1 & 2 St. Peters Square, Manchester and Capital Dock and Dublin Landings, Dublin.